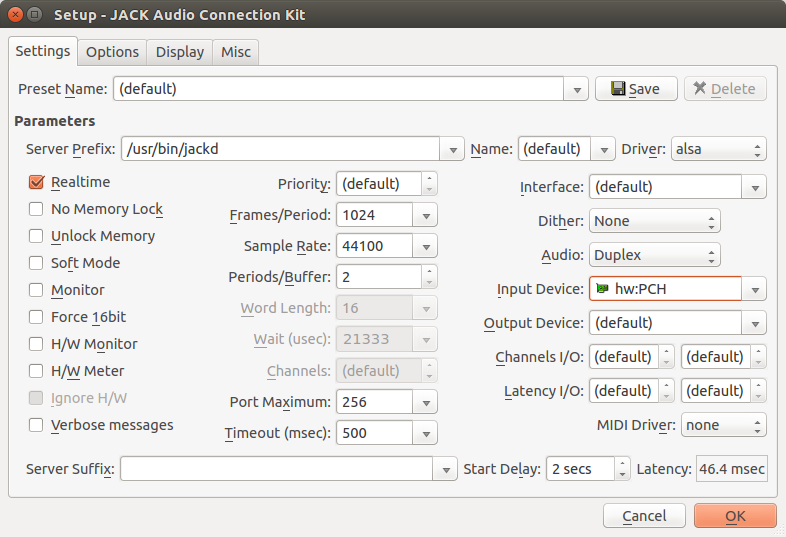 A really brief note on how to fix a problem with qjackctl not starting jackd. If you don’t understand this, then it isn’t relevant for you. 2) Could not connect to JACK server as client. - Overall operation failed. - Unable to connect to server. Please check the messages window for more info. 12:14:54.606 D-BUS: Service is available (org.jackaudio.service aka jackdbus). 12:14:54.614 ALSA connection graph change. 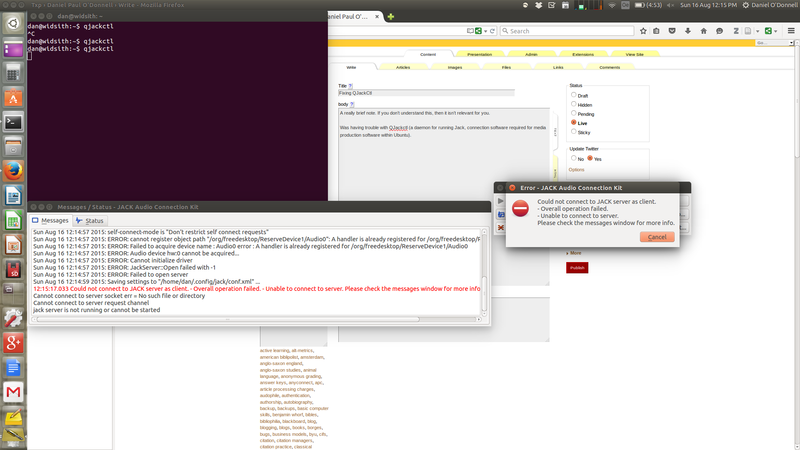 Sun Aug 16 12:14:57 2015: self-connect-mode is "Don't restrict self connect requests"
12:15:17.033 Could not connect to JACK server as client. - Overall operation failed. - Unable to connect to server. Please check the messages window for more info. 2) Before you try to start it, click the “setup” button in the GUI (right hand side, middle). 3) On the setup GUI change “Input Device” and “Output Device” (middle, right hand side) from “(Default)” to “HW:PCH” (In the screenshot one has been changed and the other not). 4) Restart qJackCtl. You should now be able to successfully use the “Start” button. 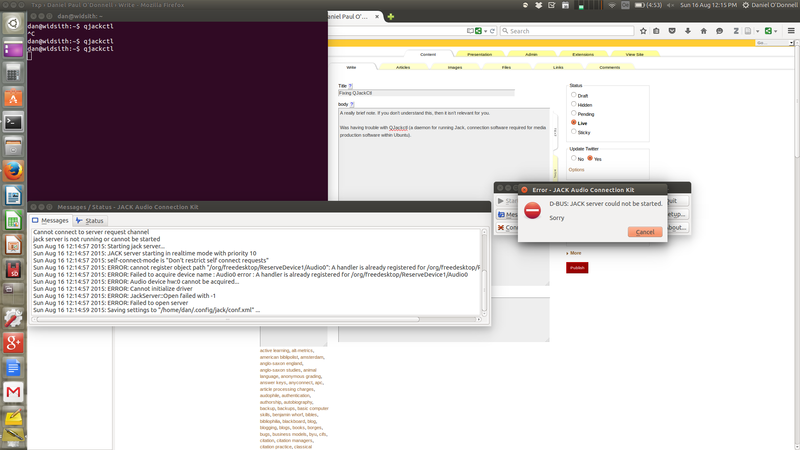 I’m using qjackctl 0.3.10. Problem solved! Thanks for the article. In my case, I just had to choose the “hw: PCH” in “Interface”, instead of changing it in “Input Device” and “Output Device”.